Austrian ophthalmologist Karl Koller was a house surgeon at the Vienna General Hospital. In 1884, he introduced local anaesthesia for eye-surgery. As a student, Koller had tested solutions of chloral hydrate, bromide and morphine in the eyes of non-human animals without success. The pain-killing properties of cocaine were noticed by his colleague, the future psychoanalyst Sigmund Freud. 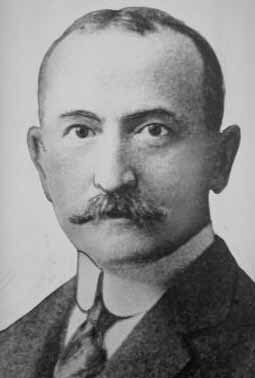 But it was Koller who recognized that the tissue-numbing properties of cocaine needn't be an unwanted side-effect of its use: Koller demonstrated cocaine's clinical potential as a local anaesthetic. Koller carried out early experiments on non-human animals and also on himself. Perhaps the greatest medical benefit of cocaine proved to be in eye surgery. Performing eye surgery had previously been extraordinarily difficult. This is because of the involuntary reflex movements of a patient's eye that occur in response to even the slightest touch. Koller discovered that a few drops of a solution of cocaine would overcome the problem. Cocaine also causes mydriasis, dilation of the pupil. The advantage of cocaine in dentistry is the way it can block signal-conduction in (especially) pain nerves when injected directly into the particular nerves it is intended to deaden. Not surprisingly, the use of cocaine-induced local anaesthesia quickly spread to ophthalmology, dentistry, and other areas of medical practice where the induction of general anaesthesia would expose the patient to needless risk. In recent decades, other agents like lidocaine (Xylocaine) with less "abuse potential" have largely replaced the natural drug - in mainstream Western medicine at least. Today a handful of dentists still occasionally use cocaine in clinical practice to ensure children enjoy visits to the dental surgery. A larger minority of dentists continue to use cocaine on their own account, though this is generally regarded as professionally unwise.